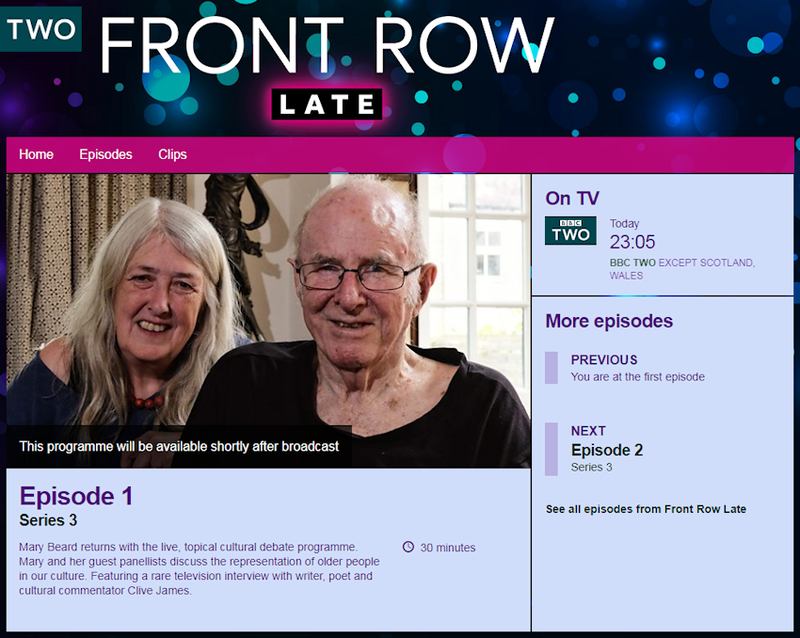 Front Row Late returns to BBC2 tonight with Mary Beard interviewing Clive James at his Cambridge home. 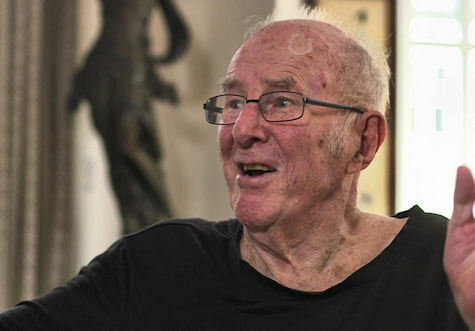 The full version of Clive's conversation with Front Row Late's Mary Beard (broadcast yesterday) is now available on BBC iPlayer here. For those outside the UK or otherwise without iPlayer access, here's the programme audio. Repeated on BBC2 at 22:00, Friday 21 December 2018.